Travelling on AirAsia can be cheap and could get cheaper if you plan ahead and get a promotional fare. 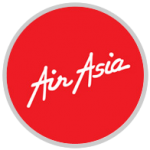 AirAsia flies from KLIA2 65 times a week, from Penang 8 times a week, Singapore 7 times a week and from Guangzhou 4 times a week to Langkawi. Check out their website for flight schedules and ongoing or upcoming promotions. 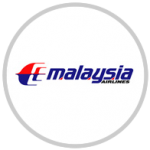 MAS is the largest national carrier that flies 36 times per week from Kuala Lumpur International Airport (KLIA) to Langkawi. Expect exclusive service and bespoke comforts to suit your travelling needs from Malaysia’s largest domestic air carrier. 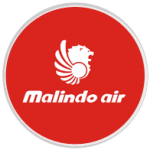 Malindo Air is a joint venture airline between Malaysia and Indonesia (MALaysia – INDOnesia). 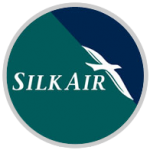 The airline offers low-cost fares to and fro destinations in Asia like Malaysia, Bangladesh, India, Indonesia and Thailand. Malindo Air flies daily to Langkawi with increased frequency in the near future. 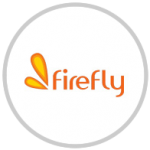 Firefly is Malaysia’s first community airline, flying from Sultan Abdul Aziz Shah Airport in Subang 8 times a week, from Penang 7 times a week, and from Kuala Lumpur International Airport (KLIA) once a week to Langkawi. Wholly owned by Malaysia Airlines, Firefly operates on the basis of incredible value as well as convenient flight timings. 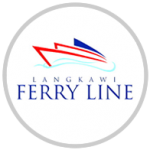 The ferries operate four routes to Langkawi from Kuala Kedah, Kuala Perlis, Penang and Satun, Thailand around the clock – all onto the Kuah Jetty of Langkawi. Ferries are running daily every 45 mins (Kuala Perlis) from 7.00am – 7.00pm. The time it’ll take to ferry to Langkawi varies, according to where you’re travelling from, ferry operator and sometimes the weather. Usually it will take you from as soon as 1 hour to sometimes over 2 hours to get there. * The above rates & time schedule are subject to changes without prior notice. If you are driving to the port of Kuala Perlis, you can either park your car at one of the many car parks around the port or you can take your car over to Langkawi Island to Tanjung Lembong Port. Unlike the cargo boats that will take your car from the more southern port of Kuala Kedah (while you have to take the passenger ferry and pick your car up the next day), the car ferries from Kuala Perlis let you travel on the same boat and are roll on roll off ferries. You just drive you car on, take your seat on the ferry, enjoy the short couple of hours journey over to the island, then drive your car off the other end. 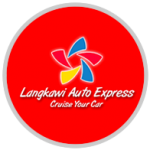 Now you have you own car on the island to enjoy the sights of beautiful Langkawi! 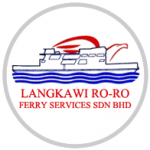 Our vision is to help promote Langkawi as a tourist holiday destination through its new RO–PAX Catamaran ferry operation activities. RO-PAX ferry is designed for transporting wheeled vehicle and passenger. We strive to continuously upgrade its services and its ferry to meet customer demand for more reliable services, shorter transit time, greater comfort, smooth journey and also a unique self-driving experience around the island. 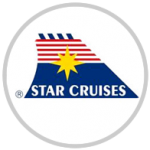 Our dedicated to provide the highest quality of service to our passengers onboard. Our mission is to provide passengers with courteous, affordable, exceptional customer services and punctuality of scheduled departure. Furthermore, we’re also committed to ensures the safety of passengers, crew members and vehicles on every time we operated.